Planning and managing events is a really exciting and fast-paced business with a lot of room for growth. There are also a lot of different paths to take within this industry. Deciding what type of business to buy will mean considering what kind of business will suit you best. A business that does small private events, large corporate events or weddings? No matter what kind of events business you choose, finding your niche is what can help attract customers and build your brand. Figure out what your speciality is and focus on being the best at it! Running an events business will mean overseeing the entire process of the event. You will need to meet with the customer, make arrangements, organise everything before and during the event and then dismantle the setup. Even if you have employees. If you want to be successful, you will have to be very involved in the events, particularly when you are starting out. In South Africa, there are a lot of areas in which a lot of events businesses have found success. Trade shows are popular in all sorts of industries as well as other corporate events. This area of the sector is one that can be extremely profitable. The wedding industry in South Africa has also grown. The budgets that couples set aside for their weddings are huge and, as an event planner, you can take advantage of this! Targeting people from overseas is a great idea due to the exchange rate. 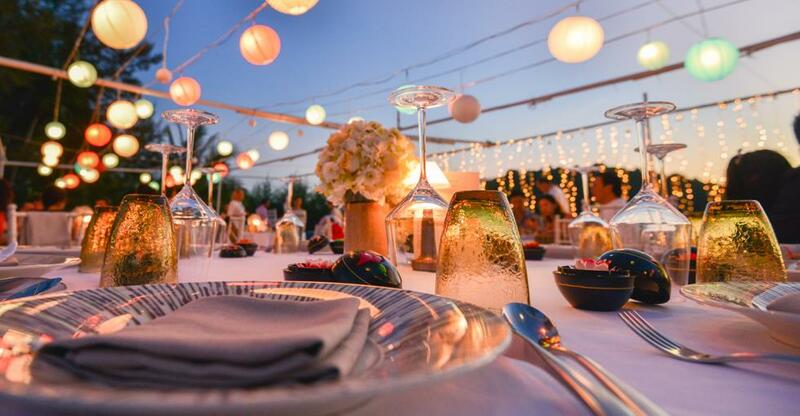 Destination corporate events or weddings can be really profitable and is something that any events company could try their hand at- with the right marketing! This is an industry that has a lot of pressure for the people who work in it. Working to deadlines and trying to oversee so many aspects to the business can be very stressful. It can also be difficult to build a network of clients when you are starting out. When you are looking for the right events business to buy, consider what kind of client network has already been built up. You should also consider the supplier network that you will need in order to deliver what your clients want at relatively reasonable prices. Working in this industry will mean working unusual hours. There will also never be two days that are the same. You will also need to be prepared to work on site as well as in an office. What will be important is that you are organised. This is an industry that requires a lot of attention to detail and keeping several balls in the air at a time if you want to run a good business. You should also be able to make decisions quickly and be able to come up with creative solutions to problems. Most importantly, you will need to keep your customer happy. Big ideas and small budgets are what an event planner is often up against, especially in a difficult economy. If you are starting out in the events industry, working from home is a way to keep your overheads low. This is possible because a lot of your dealings will take place on site. Make sure you know who your target market is before you buy a business so that you can, hopefully, take on an already established list of clients. Even though you might take on an already established client list, keep networking and generating new leads. You will need to make sure that the business you buy is aligned with the kinds of events that you are wanting to go into. Finding a business that plays to your strengths will put you at an advantage as you get going in your new business.